After reading this post you will gain some valuable insights into the benefits of virgin olive oil for inflammation, and I’ll also give you some practical action tips and recipes on how you can use olive oil in your daily routine! Did you know that virgin olive oil contains 36 different phenolic compounds? I’m guessing you probably didn’t and neither did I until I did a small research paper on the benefits of virgin olive oil. 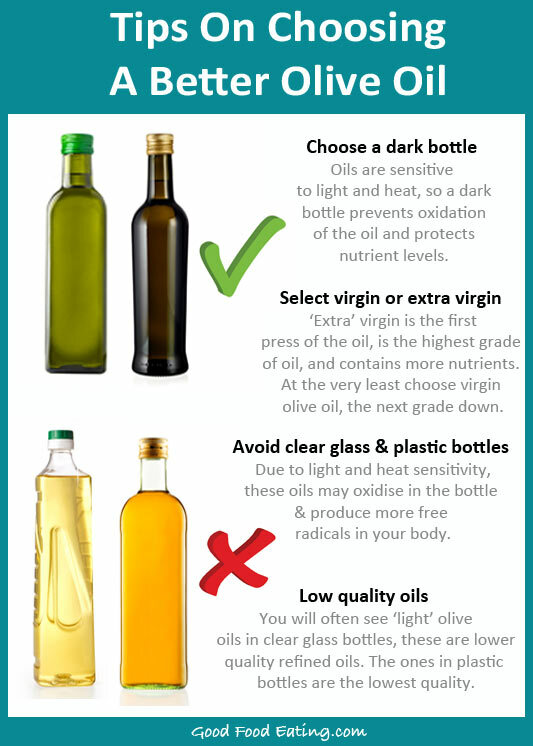 So today I’d like to share some amazing things I found out about virgin olive oil, particularly in regard to reducing inflammation. Although all of the phenolic compounds in virgin olive oil have beneficial effects, it does contain one specific phenolic compound called oleocanthal that was discovered by researchers to have powerful anti-inflammatory benefits. Oleocanthal exhibits the same anti-inflammatory response in the body as NSAID ibuprofen. 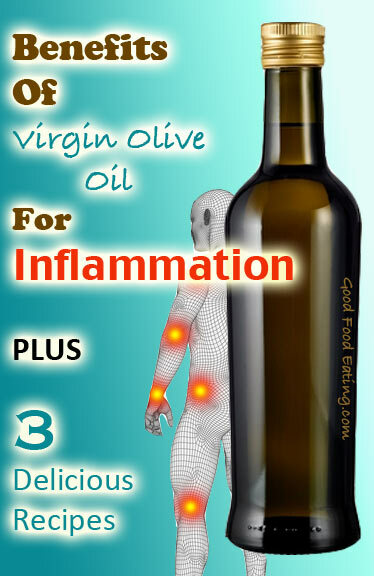 So in and of itself virgin olive oil is a non-steroidal anti-inflammatory. It’s certainly not as potent but has about 10% the effect and of course the major benefit is it’s natural, unlike ibruprofen that can cause many side effects. That’s right, it’s got a very long history in the Mediterranean region, the ancient Greek doctors recognizing it as a potent pharmacalogical agent. 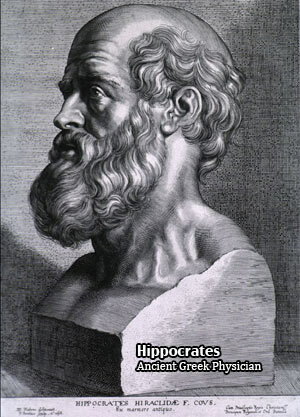 The well known ancient Greek doctor Hippocrates (460-370 BC) mentioned more than 60 conditions where virgin olive oil was beneficial. Cancer researchers have become very interested in the therapeutic benefits of oleocanthal. Joint degeneration and arthritis are both major and wide spread health conditions, so how can virgin olive oil help? Decreases cartilage damage – in osteoarthritis cartilage damaging enzymes are produced that lead to the joint degradation. This is not good because the diseased cartilage produces more inflammation and increases cartilage damage. Researchers have shown that virgin olive oil may slow down or stop the additional cartilage damage that occurs from this process. May decrease arthritic pain – by reducing inflammatory molecules, in particular one called prostaglandin. Inhibits inflammatory molecules in the joints – slows down and/or inhibits the immune reaction of synovial cells (macrophages), and inhibits inflammatory molecules interleukin-6 and MIP-1α that can upregulate the inflammatory response – what all this means is that olive oil can dramatically slow down the inflammatory and degeneration process. Research in this area is still young but there is some positive evidence to suggest that virgin olive oil may help improve brain health and prevent the progression of alzheimers. It has also been established that people in Meditarranean regions have a 40% lower rate of alzheimers. Researchers are currently thinking it is due to it’s effect on down regulating inflammatory molecules. Olive oil just seems to have an amazing capacity to slow down the negative effects of inflammation and the development of many conditions. So you’ve really got nothing to lose by consuming more virgin olive oil, right? So How Much Virgin Olive Oil Do I Need To Have? Virgin olive oil has about 70% bioavailability, which is a great thing because it means the majority of the oil consumed gets absorbed and utilized. Back in traditional times in the Mediterranean areas, people consumed around 25-30 ml of olive oil per day on a regular basis. This is at least one tablespoon per day. However, benefits are not only dose dependent but also dependent upon consistent intake. Consistent intake equals compounding effects. For example: If I only have 20 mls once it is unlikely to have any benefit at all. But if I have 20 mls every day or even every second day then it will generate commulative benefits over time, particularly if you include virgin olive oil in a diet that also contains lots of other anti-inflammatory foods. Is Olive Oil Suitable For Cooking? To get the full benefits of olive oil it is best to have it in it’s raw state or just slightly heated. For example you might put olive oil on your hot meal and that’s just fine. Olive oil for cooking is not too bad if you keep it at a low to medium temperature and have a short cooking time. For example: a quick saute over low-medium heat. Extended cooking times 60-90 minutes don’t degrade the oleocanthal but they do decrease the bioavailablity up to 31%. Overall that’s still not all that bad but I would focus on eating it raw for the overall anti-inflammatory benefits. So here are 3 recipes and some ideas on how to include more virgin olive oil in your diet. 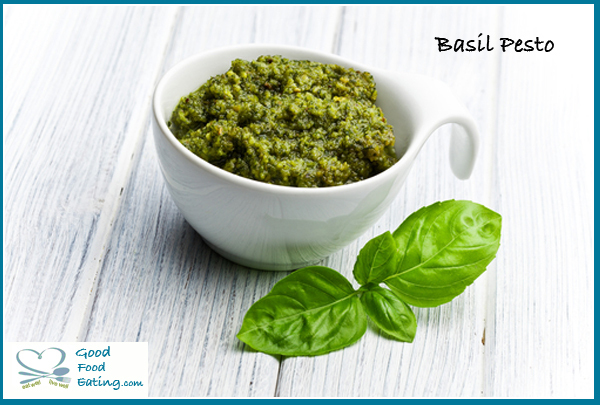 One of my favorite ways to use virgin olive oil is to make a homemade basil pesto sauce. Click Here for my delicious homemade pesto recipe. Tip: After you add it to your pasta dish or salad, drizzle some extra olive oil over the top for that extra kick! 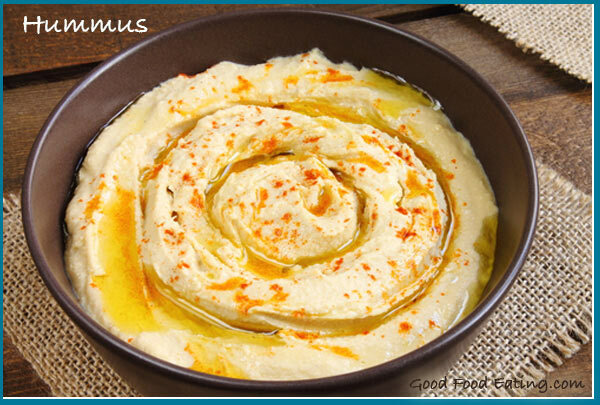 Hummus is another condiment that lends itself well to large amounts of olive oil. Click here to try this homemade hummus. Salad dressings are super easy to make and are an easy way to get more virgin olive oil into your daily routine. Unfortunately most salad dressings you buy at the supermarket are made with low quality oils like canola and safflower. So making them at home means you will eat an oil that is good for you. Here’s an easy one to try. 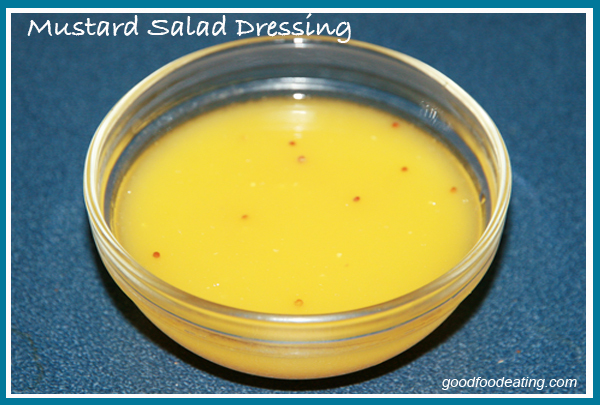 Click Here to access the mustard salad dressing recipe. So I hope you have found this post both educational and inspirational. And to give you something practical to do, I have put these recipes and ideas into a FREE pdf download. 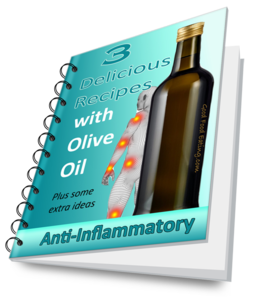 FREE Download: Grab these Anti-Inflammatory recipes and ideas in a printable! I’d love for you to give these recipes a try and then come back and share your comments with me here. P.S. Share this post around so others can enjoy the natural anti-inflammatory benefits of olive oil as well. 1. Lucas L, Russell A, Keast R. Molecular Mechanisms of Inflammation. Anti-Inflammatory Benefits of Virgin Olive Oil and the Phenolic Compound Oleocanthal. Curr Pharm Des. 2011;17:754-768. 2. Parkinson L, Keast R. Oleocanthal, a Phenolic Derived from Virgin Olive Oil: A Review of the Beneficial Effects on Inflammatory Disease. Int J Mol Sci. 2014;15:12323-12334.